I do not regard Labor Day as the end of summer. Instead, I track the fruits that are in season. My favorites—cherries and apricots—have a short season lasting scarcely more than a month or so. 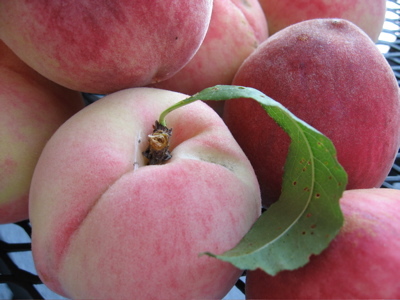 Lasting about two or three months are when white peaches are in season. (I prefer them to yellow peaches, which I find to be too sweet.) When white peaches become pulpy, as I have observed at several places this week, summer is over. Coming up is the season of Fuyu persimmons and pomegranates, which will last until some time in December. Then, or even before, I will have to switch to apples—preferably Honeycrisps. The worst time of the year for fruits is January and February, until the new season strawberries are ready for harvest. As a diabetic, I am dependent on fruits for natural sweetness that does not tear down my health. And that’s why I am so fastened on fruit. I love going to places like Oak Glen in San Bernardino County, past Yucaipa, for fresh apples. There is a fruit stand called Cornejo’s near Fillmore where I can find wonderful fresh-picked fruit (though right now they are into Valencia oranges). The best fruits I have ever eaten were purchased from orchards in Tulare County on the road to Sequoia National Park. So it goes, the year in fruit.